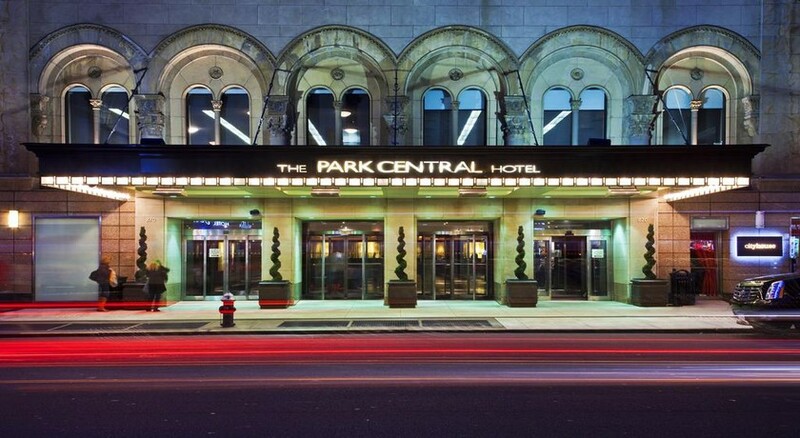 Constructed in the 20th century, the Park Central Hotel has entertained and housed some of the most famous celebrities, including Mae West, Jackie Gleason, Tommy Dorsey, Glenn Miller and also first lady Eleanor Roosevelt. 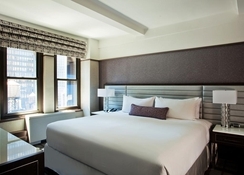 As the hotel is situated close to the Rockefeller Centre, it gives a great opportunity for guests to escape from the hustle and bustle of city life. 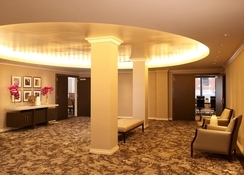 Both business and leisure travellers will find all the amenities in the luxurious rooms that also offer marvellous views of the skyscrapers in New York City. There are numerous dining and drinking avenues, where you can grab a bite and savour your favourite drink. 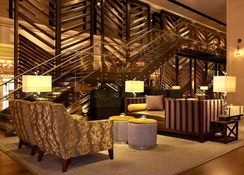 Park Central Hotel offers fabulous views of the city’s skyscrapers – thanks to its wonderful location. As the hotel is centrally located, there are a whole range of possibilities for guests to explore including numerous shops, restaurants, bars and historical attractions, which can be reached within 10 minutes’ car-drive. The Newark Airport is 26.7km from the hotel, while the LaGuardia Airport is only 17km. Singles, couples, families and group of friends will definitely find a room matching their tastes and requirements, as the rooms come in multiple categories. 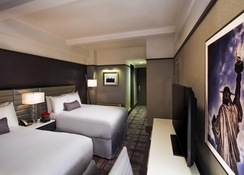 The room categories include Classic Room, Deluxe Room, Premier Room, Times Square Room and Ada Room. Some of the room amenities include complimentary ESPN & premium channels, smoke-free guest room, VTech antibacterial telephone, writing surface and modern desk chair, cozy bathroom, hair dryers, iron & ironing board, Wi-Fi access available, pillow-top mattress, on-demand movies, digital hotel compendium and much more. There are tons of dining options around the hotel to satisfy guests from all across the world. For a quick breakfast and coffee, you will have the following options: Epicerie Boulud, Ivan Ramen - Gotham West Market and Ralph's Coffee. For lunch and dinner step into Amali and Joe’s Shanghai. Those who are fond of deserts can take advantage of Milk Bar and Levain close to the hotel. Guests can grab a cocktail alongside tasty little bites at Park Lounge, Flute Bar & Lounge Midtown, Dizzy's Club Coca Cola, Faces and Names and 48 Lounge. Whether you are an adult, teenager or a child, you will be able to have endless fun leveraging the sport and entertainment facilities around the hotel. 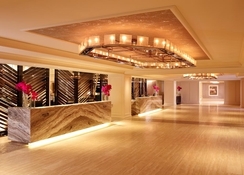 The Minkoff Theatre, Ambassador Theatre and Gershwin Theatre are all only a few minutes’ walk from the hotel. Those who are interested in playing their favourite sport can go the following clubs: New York Athletic Club, New York Sports Clubs and Equinox Sports Club New York.